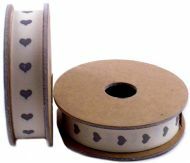 16mm cream ribbon with printed grey heart design. 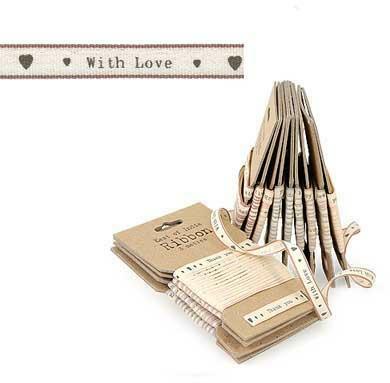 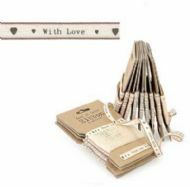 16mm cream ribbon with printed grey 'with love' design. 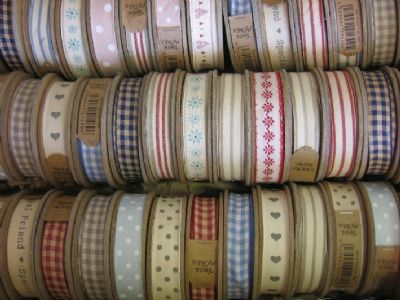 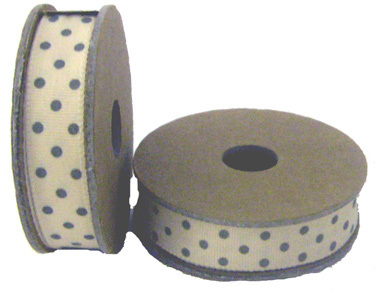 16mm cream ribbon with grey polka dot design. 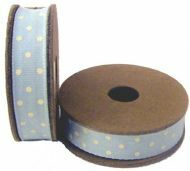 16mm blue ribbon with grey polka dot design. 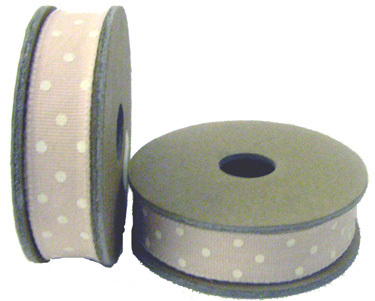 16mm pink ribbon with white polka dot design. 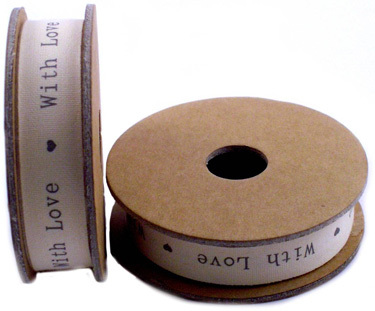 Woven ribbon with colour edging and continuous text wrapped around card.